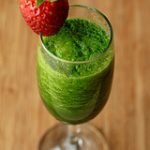 Green smoothie recipes are good. You’ve heard this before. In fact, it’s become something of my mantra on this blog. With this green smoothie with blueberries, you’ll be able to drink your vitamins! 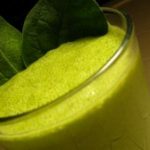 The green color of green smoothie recipes can be off putting, especially for small children. 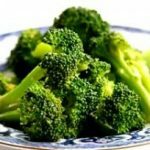 It took me a while to accustom myself to the idea of drinking green vegetables, but once I tried it, I became hooked. They are now a regular part of my diet. 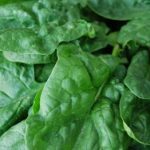 For these green smoothie recipes, I used baby spinach, but other options for leafy green vegetables that I’ve experimented with include chard, kale, and parsley. Depending on which option you use, your green smoothie may require a little extra sweetness. 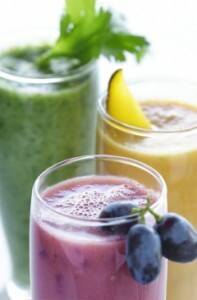 Try using a natural sweetener, like agave nectar or honey, to sweeten your smoothie to taste. Most of us don’t have our own goat on demand, but you shouldn’t have a problem finding raw goat’s milk at your local health food store. All of the ingredients, in this order, should be placed in your blender, one at a time, and blended together until smooth. Once you’re finished, pour it into two glasses, plop in a straw, and enjoy! 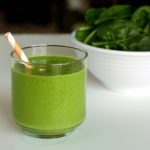 If you haven’t tried green smoothie recipes before, I would encourage you to do so. I promise that they are quite tasty (especially this one!). Even my children enjoy them, and that’s saying something. 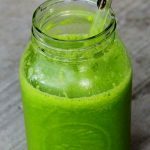 It takes less than five minutes to make, and it’ll provide you with an energizing start to your morning, or you can whip one up for a mid morning/afternoon snack.